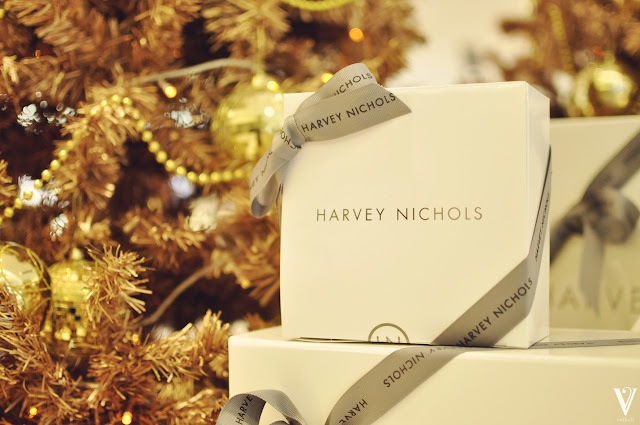 Last week, Pacific Place Harvey Nichols Beauty, hosted a delightful Christmas Party for all beauty lovers. The shop was filled with glamourous gold Christmas Trees, sweet treats, champagnes which bought the environment in full holiday spirit. Harvey Nichols Beauty invited customers to enjoy exclusive shopping deals and one of a kind complimentary beauty services. 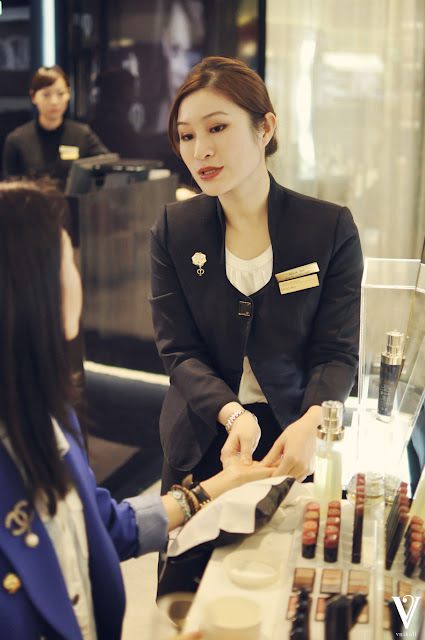 It was a great pleasure for me to try out Clé de Peau Beauté’s 20 min hand massage using their High Performance Cream. I have heard amazing comments about Clé de Peau Beauté’s products (especially the concealers and foundation) but haven’t had the chance to try them out. My experience during the massage at Clé de Peau Beauté was very relaxing and I was pleased with their customer service. Thank you Harvey Nichols Beauty and Clé de Peau Beauté for this wonderful experience and looking forward to more events like this!